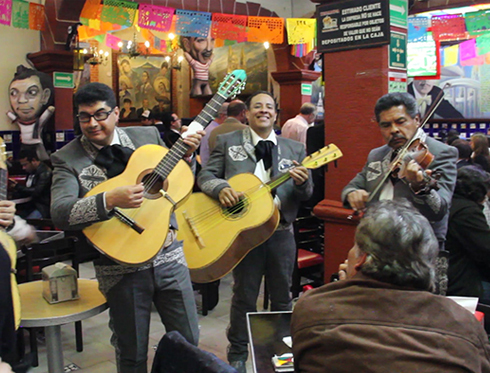 Our celebrated tour of Mexico City's Cantinas will take you round four of the historic center's most renowned traditional taverns: Salon España, Gallo de Oro, Salón Mancera, El Tenampa. (These cantinas can change depending on availability). Includes: Sightseeing bus + Touristic guide + 45 min in every place visited. Departures from Reforma 222 at 7pm and Hemiciclo a Juárez at 7:30pm.